Black, H. (2013). 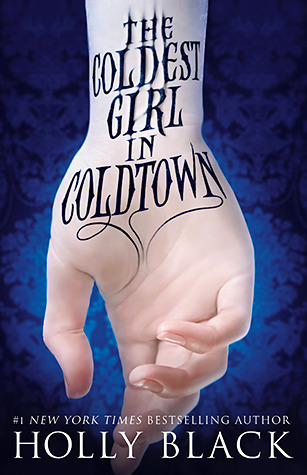 The coldest girl in Coldtown. New York. Little, Brown Books for Young Readers. Personal reaction to the book: I don’t usually like vampire novels, but I enjoyed this one. The setting is just askew enough to keep it fresh: Vampires have be come common knowledge to the point they stream videos of their parties, although most of them are confined to enclaves called Coldtowns that tend to also attract teenage goths and the like. The heroine is memorable, in a nice mix of stumbling, OMG what just happened moments and total, dedicated tough-girl modes. The vampires are also a mix of evil and not-quite-evil, with a running authorial commentary along the lines of Stranger Danger, Don’t Get into a Coffin with Someone You Don’t Know to remind those gentle teenage readers / fangbangers that vampires are essentially evil. The ending has enough of a twist to be satisfying; the pace is good; there’s a little morbid humor here and there. Overall, a good read. Author facts: Co-author with artist Tony DiTerlizzi of the children’s series Spiderwick Chronicles. She lives in Massachusetts with her husband and son. She is a prolific writer, with two books out in 2013 and two more this year.